The Internet is currently talking about #savetheinternet and #saveyourinternet. This is the protest against laws on upload filter, ie that content is filtered and not fully published. 1 Content is already filtered! 3 Posts by friend no longer visible? 5 What will the future bring us? 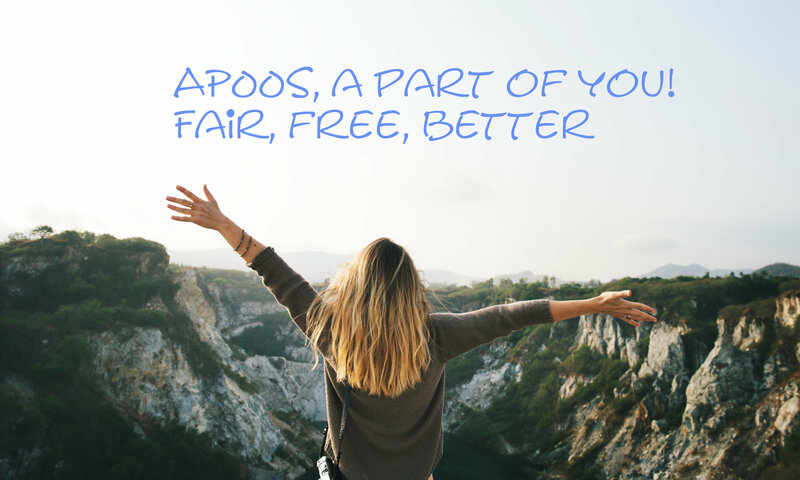 For APOOS we have set up two websites APOOS.de and APOOS.com. Although we submitted both domains to Google Webmaster Tools, we get the following results. Compared to other major search engines under the search term „APOOS“ Google does not list any of the two websites. Instead, other results are delivered that have nothing to do with APOOS. If you then hear that certain websites are specifically disadvantaged by search engines, as it is here – https://www.netz-trends.de/id/8333/Sinkende-Sichtbarkeitswerte-Google-zwingt-Preisvergleichsportal-billigerde-in-die-Knie/ – is claimed, one should be thoughtful. Do you have to be afraid as a company in the future to even get on the first page? The power available to such platforms determines the existence of businesses and their jobs. In the future, companies will only have to pay for advertising programs such as Google Adwords. In particular, small and medium-sized companies will meet these additional costs and decide on survival. Posts by friend no longer visible? I have over 700 contacts on Facebook. But for a post with an external link in my feed i get not a Like or a Share. Then I tried to contact my friends via messenger, after a few mails the function was blocked for 24 hours. The platforms do not want users to be redirected to other websites, but that their users stay on their platform for as long as possible and that ad revenue keeps bubbling up. Free content creation, yes, but only on the respective platform. Such interventions I would call manipulation and if portals decide which of my content reach my contacts or not, that’s like an upload filter! My contacts? Not really, if I reach these contacts only with the consent of a platform! My data? Data trading and commercial use are designed to maximize profits, but you will get less and less power for it! If I have to promote my postings so that my content reaches my contacts, it means that I have to pay for every contact to my contacts. Thus, the user pays several times, on the one hand with his time stealing advertising campaigns and on the other hand, that he reaches people. The tenor is clear: with manipulation, platforms can earn billions, and apparently all means are right for them. Of course, you can continue to participate as a user and invest time and money in these platforms. Or you decide for the fair alternative. Further information on the manipulation in connection with the data trade can be found on the following page of the ZDF.